Wie süüß, wie niedlich, ich habe einen Eisbärenzuckerschock. Das Kleine ist entzückend. Und Victoria eine sehr gute Mama. 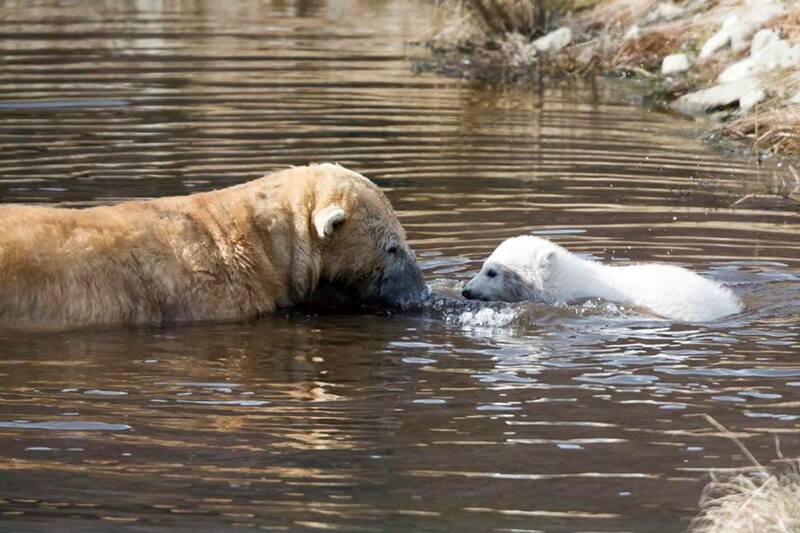 Looks like all that pool training paid off! 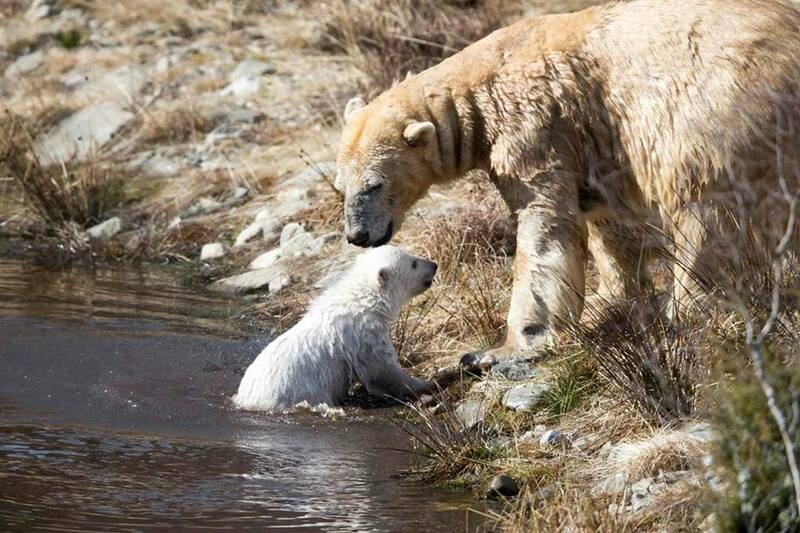 Last week our polar bear cub went swimming for the first time, led by mum Victoria. 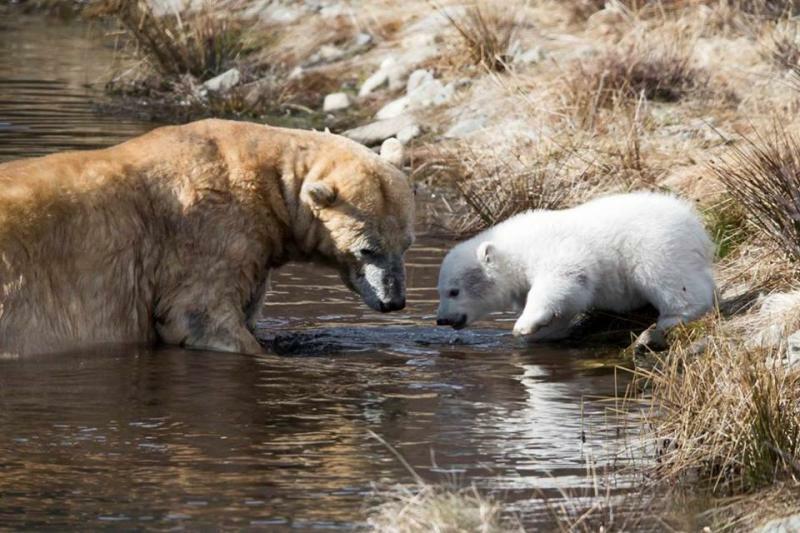 Both visitors and keepers were delighted to see the pair enjoying their large pool together. 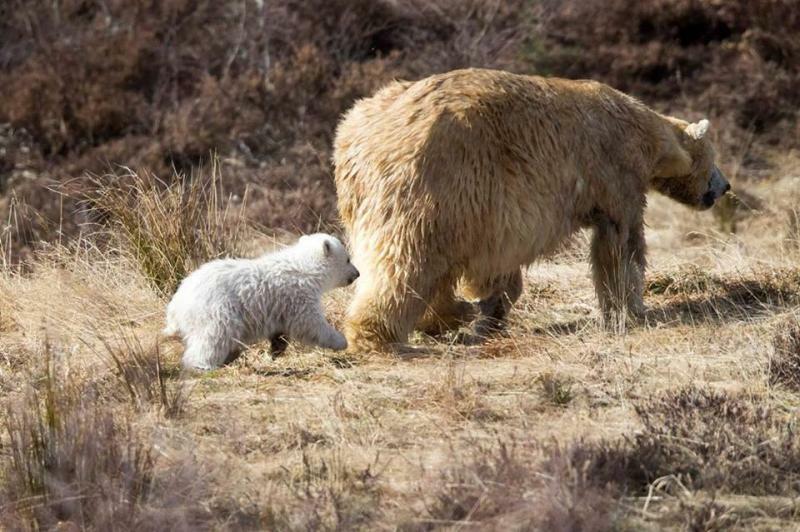 Now approaching three and a half months old, the cub is growing in size and confidence, increasingly venturing a bit further from Victoria when they are out in the main enclosure. Despite becoming more adventurous the little one still needs regular naps throughout the day, and so they are both still spending a lot of time in and around their den. Thanks to Kevin Blackband for these beautiful photos. Following Victoria and her cub's first swim on Friday, Keepers Una & Vickie captured these lovely photos behind the scenes of Victoria teaching her cub how to dry off in the bark chippings near the den. The best days end with #MuddyPaws!